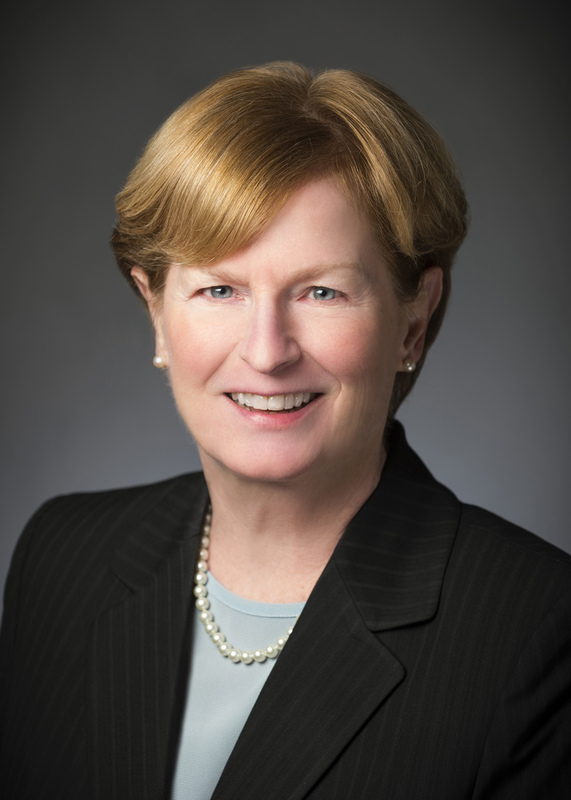 Dr. Judith A. Dwyer has been named the fourth president and chief executive officer of the Academy of Notre Dame de Namur, effective July 1. Dwyer is a distinguished academic leader and nationally respected educator having served most recently as chief academic officer at Bisk Education, a leader in online education, and formerly president of St. Xavier University in Chicago. Prior to her university presidency, she served as executive vice president and chief operating officer at the University of St. Thomas in Minnesota, academic dean at St. John’s University in New York and assistant academic dean in the College of Liberal Arts and Sciences at Villanova University. At Bisk Education, where Dwyer has served since 2011, she served as senior academic liaison with the company’s multiple university partners, setting strategic policy for business development, faculty and course development and student retention. At St. Xavier University, Chicago’s oldest Catholic university serving thousands of students on three campuses, Dwyer established new milestones in fundraising, oversaw strategic planning and master campus planning, added multiple new facilities to the campuses and introduced international service learning opportunities. Chicago Crain’s “Who’s Who” recognized her leadership, as did Mayor Richard M. Daley, noting her efforts in environmental planning. Dwyer received her doctorate in theology from the Catholic University of America, her master’s degree from Duquesne University and her undergraduate degree from Chestnut Hill College. She also earned a pontifical theology degree (S.T.L.) from Weston Jesuit School of Theology. Dwyer’s postdoctoral work includes study at Oxford and Harvard universities as well as the Kellogg School of Management at Northwestern University. A Fulbright scholar, she is the author of numerous publications and has lectured internationally on areas concerning human rights, international peace strategies, nuclear deterrence policies and environmental issues. A native of the Chestnut Hill area, Dwyer began her administrative career at Villanova University as assistant dean of the College of Liberal Arts and Sciences. Prior to this work, she taught at all levels of education in Catholic institutions within the Philadelphia area – elementary, secondary and higher education. She currently resides in Haverford. Dr. Dwyer succeeds Veronica Collins Harrington who announced her retirement in July 2013. The Academy of Notre Dame de Namur is a private, Catholic, college preparatory school located in Villanova. Founded in 1856 by the Sisters of Notre Dame de Namur, the school serves over 500 young women in grades six-12 on a 38-acre campus.